Research findings for surname: Coleman of Amherst County, Virginia, for the period of 1752 – 1798. This information was extracted from various sources available at the LDS Family History Library, Salt Lake City, Utah. 19 May 1752 Robert Holt and wife Elizabeth to Rane Chastain for 20 pounds, 200 acres, part of a patent adjoining Joseph Adcock, Coleman, Cary. Witness: Thomas Tabb, John Harrelson, Drury Mims, Benjamin Harrison. 4 Sep 1760 Susannah Christian, widow of James Christian; her husband owned 200 acres on north side of Fluvanna; suit in Henrico – Richard Oswald and Company, London merchants; James Lyle and Alexander McCaul and they sold to James Dillard who paid her 40 pounds for her dower in 200 acres. Witness: John Coleman Sr, John Coleman Jr, William Gilliam. 11 Jun 1761 Martin Dawson to John Burrus for 50 pounds, 300 acres south side branches of Buck Island Creek and Rivanna, adjoining John Carter, deceased. Witness: John Watkins, John Coleman, George Anderson. 8 Jul 1762 John Henderson to son John Henderson, Jr for 125 pounds, 490 acres 200 of it patented to Henry Runalls 11 Apr 1732; north side Rivanna and bought from Runnalls, 90 acres south side Rivanna and bought from John Sorrell and joins where John Henderson now lives. 200 acres patented to Arthur Hopkins, 20 Apr 1732, on Lewis Creek near Red Bank falls. Witness: Guy Smith, Christopher Clark, John Coleman. 4 Oct 1763 Richard Haggard, Lunenberg County, to Thomas Walker for 20 pounds, 300 acres adjoining Meriwether, Benjamin Johnson, Moore. Witness: John Coleman, Richard Woods, Solomon Nelson. 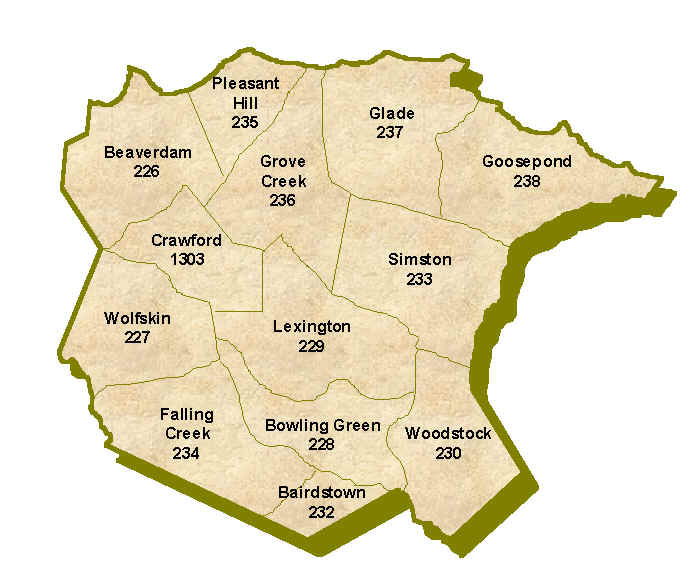 13 Apr 1765 John Moore, Paris of Fredericksville, Albemarle, to John Coleman of same for 50 pounds, 370 acres on Tobacco Row Mountain, branch of Huff’s Creek. Lines in patent of 15 Aug 1764. Witness: Pettfield Trent, Thomas Dever, George Bourn, John Harvie. 2 Oct 1765 John Christian and Drury Christian to David Patteson, Buckingham pursuant to decree of General Court, 400 acres north side and joining Fluvanna – just below Buffalo Island; upper part of 1000 acres patented to Robert Christian 30 sep 1743 – Drury and John Christian hold indefeasible estate of inheritance in fee simple. Witness: James Dillard, John Coleman, James Christian, Thomas Patterson, Samuel Weaver. 7 Aug 1769 Lunsford Lomax Jr, Caroline County, to James Stevens, Caroline for 25 pounds, 216 acres branch of Lomax Creek; branch of Rucker’s Run. Part of 6134 acres conveyed to Lunsford Lomax, the Elder, by Benjamin Waller, attorney for Walter King, Bristol merchant, and Thomas Mann Randolph, 1 Dec 1764. Witness: Dudley Gatewood, John Stevens, Clayton Coleman. 22 Feb 1770 Survey of 87 acres for John Coleman. Shows no location. 2 Apr 1770 William Braves Ashburn, late of Spotsylvania, to Caleb Coleman, 9 pounds for four years as apprentice to learn art of carpenter and joiner. 3 Jul 1770 Survey 367 acres for John Coleman and Thomas Lucas. Amherst. 3 Nov 1770 Marriage contract between John Sorrells and Mary Coleman Ellice (Ellis). He covenants to maintain her until death and then his exrs are to pay her 60 pounds to 10 pounds annually as long as she has been his wife. She may elect which payment, but otherwise, 12 months after his death she has no other dower claim except what he chooses to leave her by will. She promises to be kind, loving and obedient wife and “to be chaste and faithful to his marriage bed until death and to demean myself as a wife ought to do according to my station in the world until death and agrees to abide by financial covenant.” If he outlives her, she loses right to will money as she chooses, but if reverse is true, she may will it at her pleasure. Witness: Caleb Coleman, John Dawson, Samuel Gray. 28 Oct 1771 John Coleman 322 acres Amherst. 29 Dec 1771 John Coleman 54 acres Amherst. 2 Nov 1771 Edward Tinsley to his son, John Tinsley for 5 schillings and love borne for son – 115 acres on both sides of Harris Creek. Part of tract bought by Edward from Duncan Graham, Caroline County, and received in Amherst. Lines: John Tinsley, Robert Miller. Witness: John Coleman, John Webb, Joseph Magann, George McDaniel, Thomas Lumpkin. 21 Mar 1772 Francis Gardiner to Spiers and Bowman, Deed of Trust. 5 schillings, 100 acres Huff Creek. Bounded by 6 several tracts of Benjamin Stinnett, John Coleman, John Whitehead, John Ward, William Hix, Benjamin Nowell (Norvell? ), stock, beds. Witness: William Johns, George Weir, Thomas Reid. 6 Jul 1772 James Nowlin and wife Bethineah to William McGraw for 80 pounds, 200 acres bought by Nowlin from Ambrose Gatewood and wife Margaret – branch of Harris Creek. Part of 400 acres patented to Patrick Nowling on 19 Aug 1758, and where McGraw lives. Lines: Moses Swiney, John Harvie, James Wright, John Davis, John Coleman. Ambrose Gatewood and wife Margaret also sign. 3 May 1773 John Coleman to Thomas Lucas for 130 pounds, 183 ½ acres on Harris – half of land surveyed by Coleman and Lucas. Lines: North side of Cedar Mountain against the head of a branch; south side of Tobacco Row Mountain. 5 Jul 1773 William McGraw, Pittsylvania to Thomas Lumpkin for 95 acres, 200 acres which McGraw bought of James Nowlin and part of 400 acres patented 19 Aug 1758 to Patrick Nowlin. Lines: Moses Sweeney, John Harvie, Edward Tinsley, – formerly that of William Morran; John Davis, John Coleman. Witness: William Cabell, Jr, Edmond Wilcox, Benjamin Taliaferro, Moses Sweeney. 4 Apr 1774 Joseph Goodwin to Thomas Lumpkin deed of trust for amount due William Cunningham and Company, Glasgow merchants. 5 schillings, slave, Brunswick; woman, Alse; penknife. Witness: Lindsey Coleman, John Ritchie, George Coleman, Caleb Coleman. 4 May 1778 William Goldsby (signed Goolsby) to John Daniel Coleman for 25 pounds, 98 acres; patented to Ambrose Jones at Williamsburg 10 Sep 1760; north fork Piney. Also 50 acres at head of south branch Piney. Lines: John Manion. Witness: Robert Christian, Joseph Tucker, Charles Burrus. 20 May 1778 John Coleman to Tyree Slading for blank sum, 100 acres. Lines: Near Huff Creek, top of the Mountain, John Coleman, Benjamin Nowel, James Byas. Witness: John Daniel Coleman, William Peter, Moses Sweeney. 8 Oct 1778 Thomas Lumpkin, Bedford to James Thomas – consideration – tract in Bedford which Thomas bought of George Walton – 300 acres – Lines: Thomas Lumpkin (late Henry Guttry), John Ward, John Callaway (late William Gibbs), Oak Mountain Creek, for 175 acres in Amherst. Lines: Moses Sweeney, John Harvie, Edward Tinsley, John Davies, John Coleman, deceased. Witness: Daniel Gaines, William Galt, John McDaniel, James Menees Jr.
31 May 1783 James Bias to William Camden, for 24 acres, 60 acres patented to Bias at Williamsburg 3 Aug 1771. South branch Huff Creek. Lines: Benjamin Noell, John Coleman, Frye, Statams named Old Cove. Witness: Joseph Tucker, George Duncan, John Duncan. 6 Sep 1784 Tyre Slading to William Camden for 20 pounds, 100 acres. Lines: Near Huff Creek, John Coleman, top of the mountain, Benjamin Nowell, James Bias. Witness: John Daniel Coleman, Thomas Lucas, Solomon Ellis. Proved 7 Mar 1785 – John Daniel Coleman in now dead, but signature proved by Lucas and Ellis under oath. 25 Aug 1785 Philip Payton and wife Winneford to John Payton for 95 pounds, 200 acres Horsley Creek. Witness: Phillip Thurmond, Benjamin Coleman, Joseph Edwards, Henry Brown, Leroy Pope, William Gillespie. 15 Jul 1786 James Coleman to Ann Childress. 2 Jul 1787 William Burton to Lindsey Coleman, for 324 pounds, 324 acres south side and joining Buffalo and Huff. Lines: Chares Burrus, John Penn, Samuel Meredith. Witness: Ben Coleman, Achilles Ballinger, Matthew Tinsley, John McDaniel, Joshua Tinsley, Jesse Clements. Frances, wife of William Burton to be quizzed. 25 Sep 1790 Morris Hamner to Elizabeth Coleman for 30 pounds, 50 acres both sides Harris. Lines: John Coleman, deceased, Daniel Burford, Ambrose Rucker, Elizabeth Coleman. Witness: Peter Carter, Micajah Camden, Thomas Coleman, Edward Carter, Abraham Carter, James Carter, Kit(?) Coy. 1 Apr 1791 James Lively to James Callaway, for 160 pounds, 192 acres both sides south fork Huff Creek. Lines: Benjamin Higginbotham, Patrick Nowland, John Coleman, also 13 acres adjoining. Lines: William Camden, Moses Penn. Witness: D.S. Garland, Joseph Burrus, George Martin. 8 Dec 1791 Edward Garland and wife Sarah, Albemarle; Thomas Garland and wife, Mary to Elizabeth Coleman for 140 pounds, 200 acres both sides Harris Creek. Lines: Thomas Lucas, the road. Witness: David Jones, Samuel Coleman, Daniel Tucker. 11 Oct 1792 John Reed, bachelor, to Elizabeth Coleman, spinster. Surety: Daniel Coleman. Consent by her father, Benjamin Coleman. Marriage by Reverend William Crawford. 6 Sep 1793 William Camden to David Duggins for 50 pounds, 140 acres near Huff. Lines: John Coleman, top of the mountain, Benjamin Noel, James Bias, old cove about half way up mountain, Tyree Hading. 26 Feb 1794 Samuel Coleman to Judy Childress. 16 Apr 1798 Jonathan Wilson to Thomas Grissom for 400 pounds, 400 acres south branches Harris Creek. Lines: William Coleman, John Ambler, Daniel Burford, Elizabeth Coleman, William Peters, Thomas Coleman, Millicent Coleman. 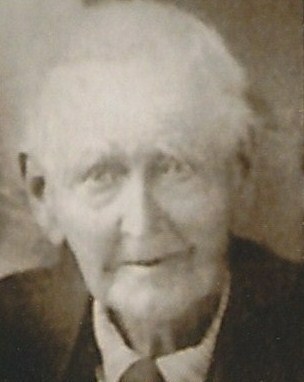 Son: Benjamin Coleman, married Sarah Gutherie. 19 May 1752 Robert Holt and wife Elizabeth to Rane Chastain for 20 pounds, 200 acres, part of a patent adjoining Joseph Adcock, Coleman, Cary. Witness; Thomas Tabb, John Harrelson, Drury Mims, Benjamin Harrison. 11 Jun 1761 Martin Dawson to John Burrus for 50 pounds, 300 acres south side branches of Buck Island Creek and Rivanna, adjoining John Carter, dec’d. Witness: John Watkins, John Coleman, George Anderson. 8 Jul 1762 John Henderson to son John Henderson, Jr for 125 pounds, 490 acres 200 of it patented to Henry Runalls 11 Apr 1732; north side Rivanna and bought from Runnalls, 90 acres south side Rivanna and bought from John Sorrell and joins where John Henderson now lives. 200 acres patented to Arthur Hopkins, 20 Apr 1732, on Lewis Creek near Red Bank falls. Witness; Guy Smith, Christopher Clark, John Coleman. 4 Oct 1763 Richard Haggard, Lunenberg County, to Thomas Walker for 20 pounds, 300 acres adjoining Meriwether, Benjamin Johnson, Moor. Witness: John Coleman, Richard Woods, Solomon Nelson. 2 Oct 1765 John Christian and Drury Christian to David Patteson, Buckingham pursuant to decree of Gen. Ct. 400 acres north side and joining Fluvanna – just below Buffalo Island; upper part of 1000 acres patented to Robert Christian 30 sep 1743 – Drury and John Christian hold indefeasible estate of inheritance in fee simple. Witness: James Dillard, John Coleman, James Christian, Thomas Patterson, Samuel Weaver. 7 Aug 1769 Lunsford Lomax Jr, Caroline County, to James Stevens, Caroline for 25 pounds, 216 acres branch of Lomax Creek; branch of Rucker’s Run. Part of 6134 acres conveyed to Lunsford Lomax, the Elder, by Benjamin Waller, atty for Walter King, Bristol merchant, and Thomas Mann Randolph, 1 Dec 1764. Witness: Dudley Gatewood, John Stevens, Clayton Coleman. 22 Feb 1770 Survey of 87 acres for John Coleman. Shows no location, just Amherst. 2 Apr 1770 William Braves Ashburn, late of Spotsylvania, to Caleb Coleman 9 pounds for four years as apprentice to learn art of carpenter and joiner. 3 May 1773 John Coleman to Thomas Lucas for 130 pounds, 183 ½ acres on Harris – half of land surveyed by Coleman and Lucas. Lines: North side of Cedar Mountain against the head of a branch; south side of Tobaccao Row Mountain. 8 Oct 1778 Thomas Lumpkin, Bedford to James Thomas – consideration – tract in Bedford which Thomas bought of George Walton – 300 acres – Lines: Thomas Lumpkin (late Henry Guttry), John Ward, John Callaway (late William Gibbs), Oak Mountain Creek, for 175 acres in Amherst. Lines: Moses Sweeney, John Harvie, Edward Tinsley, John Davies, John Coleman, dec’d. Witness: Daniel Gaines, William Galt, John McDaniel, James Menees Jr.
25 Sep 1790 Morris Hamner to Elizabeth Coleman for 30 pounds, 50 acres both sides Harris. Lines: John Coleman, dec’d, Daniel Burford, Ambrose Rucker, Elizabeth Coleman. Witness: Peter Carter, Micajah Camden, Thomas Coleman, Edward Carter, Abraham Carter, James Carter, Kit(?) Coy. 8 Dec 1791 Edward Garland and wife Sarah, Albemarle; Thomas Garland and wife Mary to Elizabeth Coleman for 140 pounds, 200 acres both sides Harris Creek. Lines: Thomas Lucas, the road. Witness: David Jones, Samuel Coleman, Daniel Tucker. There was, however, a Henry Brown in “Group 10” who left Essex Co., VA and who moved to Lunenburg/Mecklenburg Co., VA in the 1760s….and records show that the Samuel Croxton family into which that Brown family married had some members who were later in Amherst Co., VA. As a matter of fact, the Nancy Croxton who was a daughter of the above-referenced Samuel Croxton married into the Aaron Higginbotham family, and that Aaron Higginbotham family then married into the Sandidge/Sandridge family….and there was then a son named Mordecai Brown Sandridge in that last “combined family.” Mordecai Brown Sandridge was named, no doubt, for the son of Henry Brown (out of Essex Co., VA) who was named Mordecai Brown. That son named Mordecai Brown became the second husband of Samuel Croxton’s widow Mrs. Elizabeth (Unknown) Croxton, and hence, Mordecai Brown became the step-father of the referenced Nancy Croxton who married into the Higginbotham family. Samuel Croxton and Elizabeth had another daughter who was named Joanna Croxton, and Joanna married the brother of Mordecai Brown who was named Aris Brown (and Mordecai Brown and his brother Aris Brown ended-up in SC).